Modern marketers agree that content marketing is an essential approach for any brand. In the case of football clubs, there is a ton of content that can be used for marketing and communication purposes online, and especially on social media. Pictures and videos from training sessions, press releases, transcripts from press conferences, audio and video interviews with the players or the staff, and much, much more. Heidi Cohen, president of Riverside Marketing Strategies, wrote a post entitled 9 Content Curation Ideas for Bulking Up Your Editorial Calendar, which I would like to adapt to a football brands in this post: Let’s take UEFA Europa League challengers Torino FC. Ms Cohen addresses nine options for filling an editorial calendar with quality curated content. publish a short interview video on YouTube. This is basically the 1 x 1 of social media management. Henrik Örnebring (2008) introduces his Routledge Journalism Studies article stating that, “[t]he rise of user-generated content (UGC) [as well as third-party generated content] is often thought to blur further the distinction between (media) producers and (media) consumers. Many media organizations, in particular newspapers, have developed extensive sections of their Web pages based on UGC. But there is still relatively little discussion of the exact relationship between producing and consuming in these sections.” I agree with Mr Örnebring and would like to add that making smart use of UGC is something that many marketers, especially at football clubs, don’t do enough. In a similar vein, Newman et al. (2013:89) underline that “it isn’t enough for a brand to rely simply on the content it posts on its Facebook page or website. Organizations, especially those in the sports industry, increasingly rely upon their customers, fans, and audience to upload photos and videos and share them with others online.” The internet is full of content about basically anything. In football, there is more and more user-generated content available on every corner of the net and it gains ground in production quality. In addition, it is easily retrievable with Google or search functions that come with a social media platform like Twitter or YouTube. A marketing or communication manager of a football club with a rather small financial budget like Torino FC, can simply search for content online and add the club’s touch and tone of voice to it. For instance, Torino FC coach Giampiero Ventura was interviewed on national television and the clip is already on YouTube or the website of that TV channel. The club can embed the clip onto their own website and add a commentary to highlight certain points in the interview. That way, the club is able to use relevant content, saves money on the production, and still adds its point of view to the post. Television channels do this match day after match day and newspapers have their experts sharing their views about whatever happens in football. 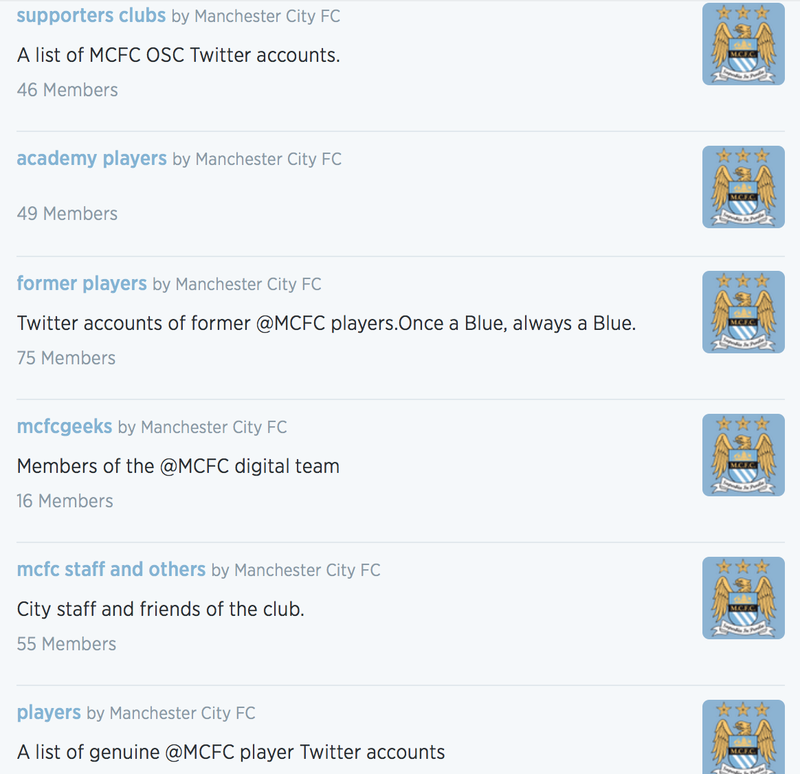 Nonetheless, this is nothing a football club cannot do, too. Why not to ask a former player of the club to share a few words before, during and after a match? Many clubs have retired players working for the organisation. They could share their expertise in a tweet, status update or short Instagram video. Torino FC do not take advantage of that, however, their city rivals Juventus FC do. Juve has had former club stars David Trezeguet and Edgar Davids in short Instagram videos addressing their fans. Another great example is Heineken’s #ShareTheSofa campaign. I am aware that Heineken is not a football brand per se, but the idea of having a football personality share his thoughts on Twitter during a match can be implemented by a football club as well. I am confident that 15-second video clips for Instagram can easily be shot as easy as writing a 140-character tweet. Also, why not do both? Another obvious action that marketers should undertake, but often don’t think of. Ratings are essential in today’s online world. People don’t only tell other people how they feel about a product or brand, they can also leave a review or rating on any social media post. Therefore, why not ask those people we assume like what we do, to leave a great review or top rating on our social media presences. Besides looking good for new visitors in regard to brand image and confidence-building, in certain cases, like on Google+, it might even help with SEO (Search Engine Optimization). This means, if you’re the responsible manager for Torino FC’s social media presence, ask all fans and fan clubs to like your club’s page on Facebook, as well as the the Facebook page of your home turf, the Stadio Olimpico di Torino, and to leave a review or simple comment for the hospitality and experience it provides – hopefully it’s a positive one. Do the same with YouTube videos, asking for thumbs-up and comments, and continue with other social channels. The reason for this is very simple: As Mitch Joel (2013:199) depicts quoting Jeffrey Gitomer, “All things being equal, people buy from those they know, like, and trust. … All things being unequal, people still buy from those they know, like, and trust.” By now, (hopefully) obvious to all marketers. My understanding of this point brings different lists/rankings to mind. Examples could be: Best Torino FC goals, Top 5 safes, Longest distances run during a match by a Toro player, All-time top-scorers, Best impressive fan choreographies, etc. There is a ton of data that is collected on a continuous basis from matches and trainings. The data can be aggregated, analysed and reported in different formats, which then can be published on adequate social media and other communication channels. Fans and other stakeholders can be engaged in a discussion. Ideas could include asking them if they agree with the ranking or what their Top 5 in that category are. Contests and sweepstakes can be integrated in the interaction to boost the emotional connection between users/fans and the club. According to Ms Cohen (2014), “The key to content curation success with this format is knowing what will matter most to your readers. The objective is to save your audience time by choosing the best of what’s available and providing one-stop access to it.” In my opinion, that is done by having a user-friendly, well-organized, and multimedia-enriched website. In the case of Torino FC, it is safe to state that the club’s website fulfils the above-mentioned criteria to an adequate level of user-satisfaction. The navigation is clear and concise, the news feed only states the most important information (expressive title, short headline, media type, and category tag), and the banners on the right hand side are well embedded into the website, despite their subliminal advertising nature. For many years, I have been an evangelist for utilising multiple formats for the same piece of content. That means, coming back to the discussion in point #1 Share on social media, make sure that you have a photo, video, infographic, text, or audio ready to tell the same story; or at least tell a piece of the same story. And if you can’t, try to make sure that your website or blog does not always post article in text-only. Alternate what media is used: today a text-based interview with a photo, tomorrow a short capture with a video, the day after that a report expressed in an infographic. Observing the Torino FC website and Twitter feed it is legitimate to grade the efforts of the club’s content manager with good. There is still room for improvement in regard to categories within the media formats itself. For instance, Torino FC could make video series, such as pre-match videos from training preparations for every matchday and publish those on YouTube, or a short video with the starting eleven for Instagram. In addition, infographics with information relevant to stadium visitors could be very valuable and helpful. LA Galaxy has a great example. And, of course, there is much more a club can create. The motto here needs to be, create content for all senses. Again, content marketing and the curation of that content is an essential part of marketing for any professional football club – even for amateur clubs, who want to connect with their supporters. Ms Cohen shared 9 valuable points in her blog post. However, marketers do not have to limit themselves to these 9 points. Simply take a closer look inside your organisation and identify all possible content that is sitting unused on a shelf, in a folder, or even hidden in the archives. In addition, think of opportunities to create new content with little effort. Believe me, there are lots of such opportunities in every football club. Once identified, think how to convert that content into what kind of format and which channel would be appropriate to share it on. An editorial calendar can then help with the timing of the pushes. Now, let the scavenger hunt begin!